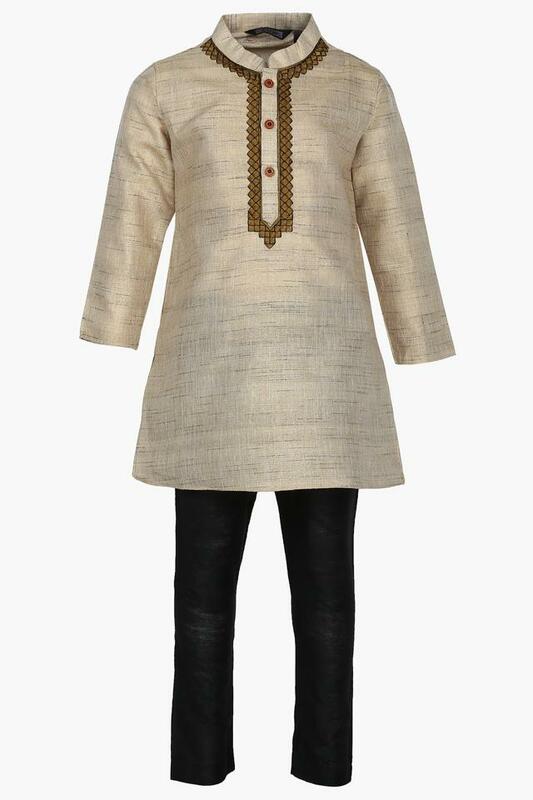 Introduce your son to ethnic fashion by dressing him in this kurta and pyjama set from the coveted brand, Stop. Featuring a mandarin neck, the kurta also comes with an embroidered detailing at the front that adds to its design. 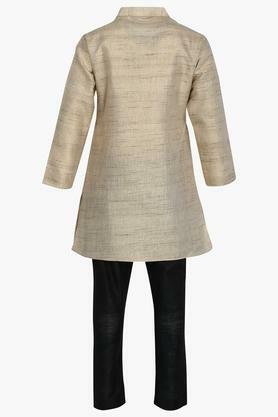 Moreover, it flaunts an assorted pattern that is the main attraction. Make your son wear this kurta and pyjama set with a pair of mojaris while taking him for a family function. It has been made of a fine quality fabric to ensure a comfortable touch against the skin.